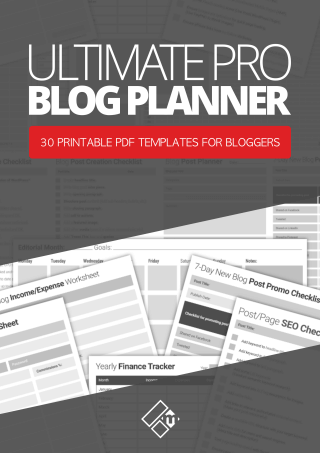 So you want to drive more traffic to your blog, huh? Well, you’ve landed on the right post. Below are 11 ways to grow your blog traffic the smart way! Before we get started, if you have Google Analytics profile set up for your blog (which I’m pretty sure you will have), under the acquisition and all traffic tab in your dashboard, you’ll notice there is another tab for channels. Take some time to study the information on this page carefully. 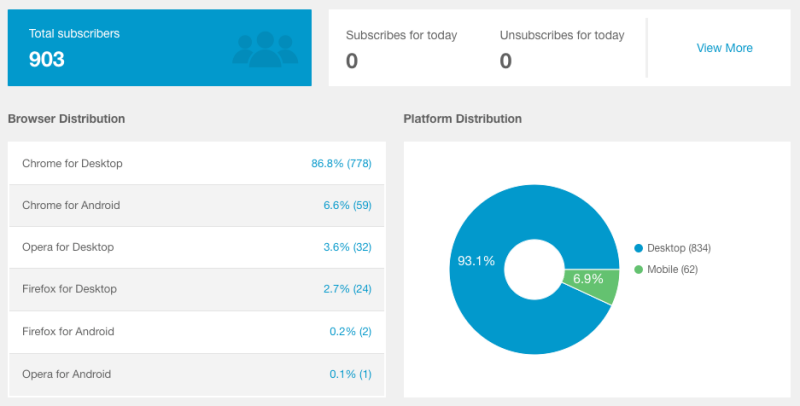 By default, your blog’s traffic is grouped into these channels. You should see organic search, direct, referral, social, and other. If you generate traffic to your blog via email as well, you might see that on the list too. I’ve highlighted Referral traffic because that is what we’re going to be focusing on. If you’re a complete newbie to marketing and traffic generation, what do we mean by referral traffic? Referral traffic is essentially visitors that come to your blog from various other channels, both online and offline. For instance, you might get referral traffic from other websites that have linked various articles on your blog. You may also get referral traffic from email links, social media posts and mentions, blog network sites, push notifications, PDF links, or even print marketing (offline, direct), etc. Important note: I don’t expect you to implement every single strategy listed below, and chances are, you’re probably already using most of these methods right now. Let’s start with the undisputed king of content marketing… still to this very day, and that is guest blogging. Out of all the blog promotion strategies, guest blogging has to be up there as one of the smartest ways to increase exposure for your blog. 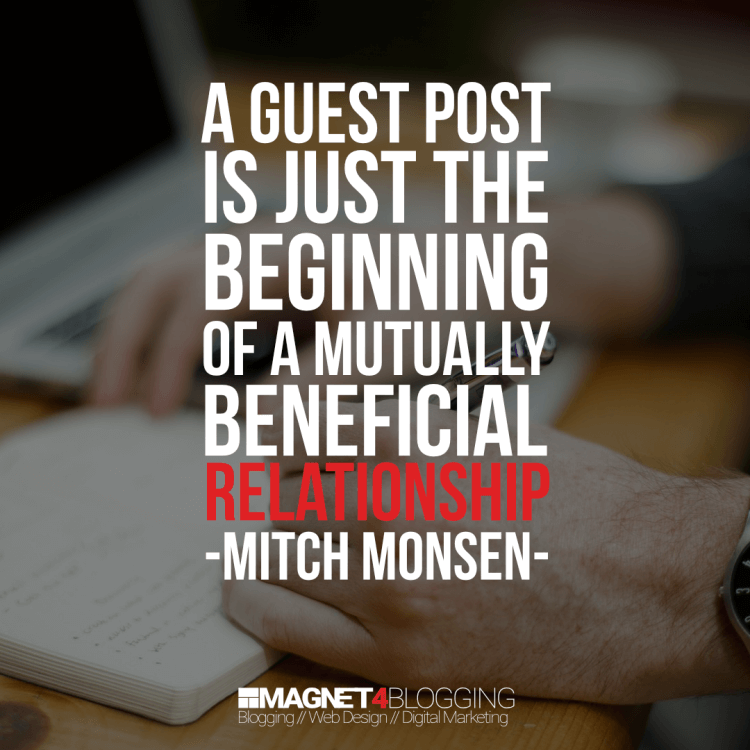 Guest blogging is a great way to connect with other people in your niche. 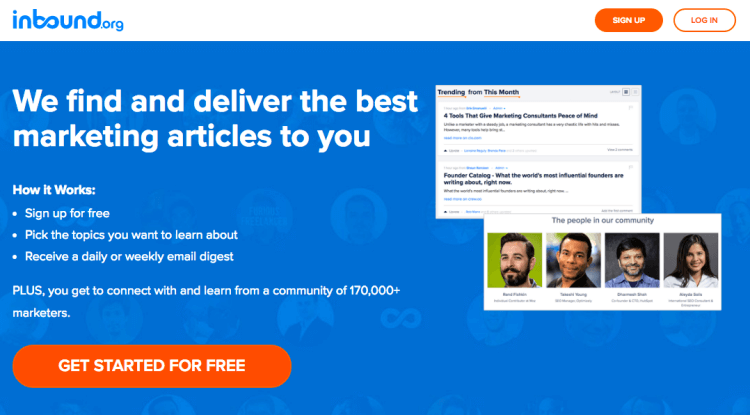 Use it to build new relationships and find new readers and subscribers for your blog. 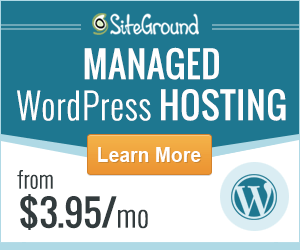 Just a very quick note if you’re thinking about using guest blogging for SEO, i.e. building backlinks, etc. While this tactic might still work to some degree and for some people, just be very careful with your results. For instance, what you don’t want is to get a link spamming penalty from Google. These days, most blogs and websites apply a no-follow attribute to their outbound links, especially if they’re not 100% sure about its impact, just to stay on the safe side. And I don’t blame them either, we accept guest posts here on Magnet4Blogging, and 9 times out of 10, we’ll apply the no-follow tag to outbound links, especially if we feel it’s not relevant or appears too self-promotional. Instead of thinking of SEO gains when it comes to guest blogging, you should use this marketing strategy for relationship building and increasing exposure for your blog. Just think, exposure can help you boost your blog traffic anyway, and that’s what you want, right? Check out this post by Matt Cutts titled the decay and fall of guest blogging for SEO. Although it’s a good few years old now, it still provides some decent information about the do’s and don’ts of guest blogging. Matt Cutts, by the way, used to be the head of Google’s webspam team back in the day. Your email newsletters can be a great source of referral traffic to your blog, if, you create them with ‘value’ in mind. I think every blog should send out an email newsletter once a week, or at least a few times each month to benefit from referral traffic. Also, all your other outgoing emails should be considered as opportunities to drive referral traffic to your blog. Check out the WiseStamp App. This little extension/app will enable you to add a custom signature with a link to your blog from your outgoing emails in Hotmail or Gmail. Did you know that Pinterest is considered to be the 4th largest traffic driver on the web, beating out sites like Yahoo for organic traffic. If you have a Pinterest profile, start making good use of it. Connect with other bloggers and influential people in your niche or industry who are already on crushing it on Pinterest. Learn from them, and start pinning their content, videos, and infographics to your boards. Do the same for your own content too, of course, mix it up a bit. When you promote someone else’s content, they will almost always come back and help to promote yours too. Use high-quality images and optimize them correctly for Pinterest. Make them more ‘visually interesting’, don’t just use unedited free stock images downloaded from the web. Instead, add some fancy text, cool filters, and quotes from your blog posts even. All these little ‘attention to detail’ things can help encourage other users on Pinterest to come and repin your shared content to their own Pinterest boards. 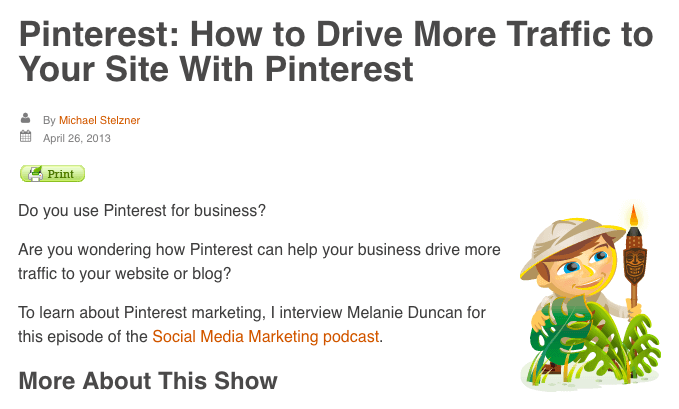 Micheal Stelzner has written a magnificent post over on his blog, Social Media Examiner, on how to drive more traffic to your site from Pinterest, I do recommend that you check it out. Content curation can be very beneficial for driving referral traffic, although I will say, it can be a little time-consuming. Plus, you may have to wait a while before you start reaping the rewards of doing content curation. Curating content involves collecting interesting pieces of content from around the web, relevant to your niche or industry, and combining it with original content of your own, and then sharing it out with your followers. There are two ways to curate content. Collect content from around the web and construct a massive value resource articles. For example, 100 Conversion Marketing Case Studies You Need To Read Before You Die. Use tools and sites like Scoop.it and Storify to curate and share stories and content. There are some great blog community websites around right now, and new ones are cropping up all of the time, however, just be careful not to put too much of your energy into using them all. The trick is to find the ones most relevant to your niche, and the most popular (active) ones. From my own experiences, I’ve had some success with sites like BizSugar, Inbound.org, and GrowthHackers. These sites are great for not just promoting your own blog content, but for also engaging with other bloggers and influencers, providing value and helping others, thus ‘potentially’ driving new readers back to your own blog. Please don’t tell me you still haven’t jumped on the YouTube bandwagon! If you haven’t, then what on earth are you waiting for? It’s 2019, and you’re still not harnessing the power of video content marketing? YouTube is considered to be the 2nd largest search engine on the web, processing more than 3 billion searches per month. Creating YouTube videos is something that every blogger, online business owner, freelancer, and entrepreneur should be doing right now. Video marketing is a HUGE deal and can help YOU not only drive traffic but tap into one of the largest resource providers on the web. You’re probably wondering where on earth can you find content to put in your YouTube videos? Well, you already have tons of it on your blog! You’re halfway there already. Check out my YouTube channel, because that’s exactly what I’ve been doing over the last couple of years. Repurposing my blog content and turning them into useful videos. In 2019, I plan to go all out with video content as well as create a weekly vlog! According to BrandWatch the number of searches for “how to” videos on YouTube is growing by 70% year on year. Social media accounts for just 2.34% of the annual traffic to Magnet4Blogging as of 2017. Not a great amount, however, I don’t actually pay a great deal of attention to most of the social networking sites, in all honesty. As of updating this post (December 2018), my top 5 referral traffic sources from social media sites are Facebook, Twitter, Google+, StumbleUpon, YouTube, and Pinterest. I know that social media marketing can be extremely time consuming, but you can’t ignore it. It’s here to stay and you have to somehow make it work. The connections I’ve made via social media have been priceless, even though engagement is an all-time low. To make social media work for your blog, you need to have a strategy in place for regularly promoting your content creatively on the social sites that matter to you the most. Your aim is to boost engagement and hopefully some referral traffic too. Having a Facebook page or a Twitter account is all well and good, but it’s simply not enough anymore. In addition, many social media platforms are now Pay-to-Play. Select only the social networks that are working for you already, and dominate on them. Engage on a whole new level. That means to reply to every single comment, be helpful, add value and all the rest of it. Share interesting, engaging content such as images, videos, polls, questions, motivational quotes, etc. Don’t just post link after link to your blog posts all the time. Get creative with your link share – upload an image from your blog post and link to it, or, create a short video to talk about the topic of your latest post. The next strategy I want to share with you is a very smart and effective content marketing method. I’m sure you know what an infographic is, but if you don’t and you’re totally new to all of this, that’s cool. You can click here to learn more about infographics. According to this infographic, 41% of marketers said that infographics and other original graphics were the most engaging. Whether you create your own or share somebody else’s, infographics can attract a lot of attention, including referral traffic, social media shares, links, comments and so on. Once again, creating a great information graphic takes time, it’s not a quick process by any means. However, this post will teach you how to create infographics for your blog. Photoscape – Free desktop photo editing/graphics creation software. To connect with other like-minded bloggers and to stay in touch. To add value to a blog post as well as to contribute and open up conversations. To get your blog noticed. The mistakes a lot of bloggers make when they do blog commenting is that they leave useless, one-liner comments for starters. And secondly, they try and comment on way too many blogs. The tactic of “Comment on as many blogs as you can” sadly is a total waste of time, in my humble opinion, of course. No blog is remotely interested in one hit commenters anymore. In other words, people that visit your blog once and never, ever again. The best way to do blog commenting, by far, is to pick just a small handful of relevant blogs. Get to know the author, show your face and read the blog’s content frequently. Then, and only then, leave ‘meaningful comments’. When I say leave meaningful comments I don’t mean just write – ‘Hi there, great post man, thanks for sharing it’. I mean, really leave a great comment. Here’s an example of a powerful comment I left on a blog that I’ve been following for some time, my good friend Sherman Smith’s blog. As you will see, it’s a good few paragraphs long, and I tried to share my thoughts, stories, and to add some value to the conversation too. I think that’s the best way to get on other blogger’s radars as well and get the most benefits from blog commenting. One-liner comments don’t get noticed. A thoughtful, lengthy comment does. One of the best blog commenters I’ve ever come across in my blogging journey has to be Mr. Ryan Biddulph from Blogging From Paradise. In fact, Ryan even wrote a book about doing blog commenting the smart way here. Do check it out. Is Triberr still worth your time? 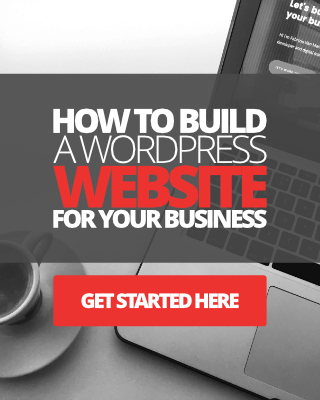 Yes, and this is one great way to not only drive REAL traffic to your blog but also, and more importantly, to connect with even more like-minded folks and grow your blog’s audience. Triberr allows you to connect with your peers, folks who share similar interests and passions as you. If you’re creating awesome content for your blog, you want people to see it, read it, share it and so on, right? Triberr is one of those amazing places to share your awesome content. Get on it, join some tribes and even create your own tribe. Click here to learn more about how Triberr can benefit you as a blogger. Room for one more tip? Of course, you are. If you haven’t already done this, I highly recommend that you set up Push Notifications on your blog. Push Notifications is a great way to let people subscribe to your content updates via their web browser notifications. Each time you publish a new post, you can send out a notification which will appear in your subscriber’s browser as a small pop-up. Check out this detailed post I wrote on how to set up push notifications on your WordPress blog. Well, I hope you’ve enjoyed reading through this referral traffic generation tips post. 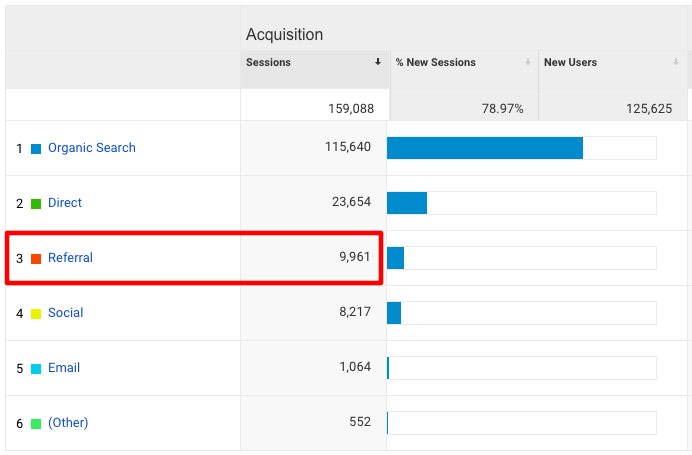 Like I said at the very beginning, you don’t have to go nuts and use every single technique mentioned above, but add one or two to your traffic growth efforts and I’m positive you’ll come out on top. Here’s a quick summary of the things we’ve covered that you can do to increase referral traffic to your blog. Link to your latest posts from your email newsletters. Make better use of Pinterest. Start curating content, both on your blog and using content curation sites. 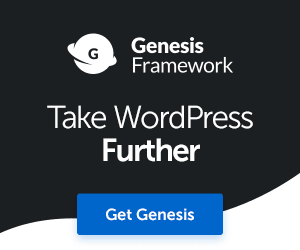 Join and collaborate on blog network sites. Create videos to post on YouTube and Facebook. Grow your social media audience and promote content there regularly, and smartly. Repurpose your blog content into infographics. Provide value on other blog posts by leaving meaningful comments. Join the Triberr revolution and grow your own tribe. So what other ways can you increase referral traffic to your blog? Commenting is my fave Fabrizio, but curating is also opening me up to some steady referral traffic. Nothing like collaborating 😉 Thanks! Absolutely Ryan, I enjoy commenting when I’m at a lose end, usually when I’m out and about I’ll read a post on a blog and comment. After series of jerks with Panda, Penguin, Hummingbird it is so risky to trust organic traffic because it can nosedive at anytime. So it is high time to boost direct and referral traffic. For the latter one your tips are awesome and will surely bring great results. Thanks for sharing. I have to agree with Mi, we cannot wait on or trust search engine organic traffic. You’re suggestions are spot on. I have tried Triberr in the past, but not consistently and I need to jump back on it. Another thing working extremely well for me is commenting on blog articles of influential bloggers. The key is to not leave some fluff piece or one or two sentences. I am seeing an uptick in traffic and as I’ve been sharing with the bloggers, I’ve also been sharing it out on social media. You’re one suggestion was really great and worked awesome for me. On Saturday’s I started Saturday morning Rewind on my blog. It’s a list of great blogs from the week that had an impact or influence on me. I even included yours last Saturday. Did not know how influential Pinterest has become, I’ll have to get more active on my account. Also had never thought about the content curation concept combining your blogs with others and sharing them together, I’ll have to try that. And thanks for the resources on where to post it. Great links to the blog communities, and can relate the idea you posted to the social media to this one as well. The importance of engagement on these sites can not be overlooked. Personally find social media, and commenting on blogs having the best impact for me. In particular google + recently, being active in communities, and developing circles with influences and active users. Regularly sharing each others content. And twitter lists as you stated really helps to keep track of engaging followers and great content providers. And pinning your most recent post on your twitter profile is a great way to drive extra traffic. It would be insane to depend on google for all website traffic especially for a new blog. 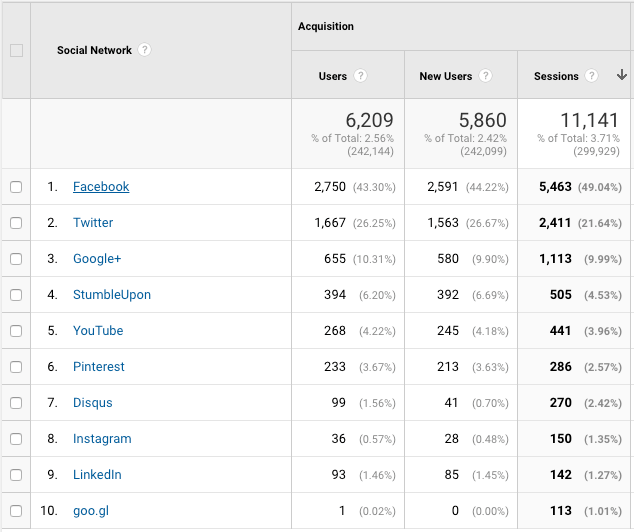 This is why referral sources of traffic are needed by every blogger. I used all the 11 smart ways you have dealt with in the article. Hope to see more of your updates in the future. I will also share this on twitter. You’re welcome my friend, yes, that was a mistake I made many years ago, relying on Google! 🙂 Enjoy the rest of your week mate. Great read, I’ve start working on it from last 1 months but my website’s referral traffic is still same, no increase.